Looking to bring your company together to celebrate a great year or to work on some team building? Let the Sport & Social Group plan your unique, corporate event. Check out some of the options below and get a quote for your customized event by emailing our corporate event team! Urban Quests: The Ultimate City Race! This outdoor adventure is part scavenger hunt and part Amazing Race. 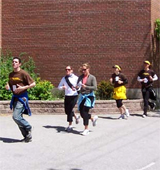 The Urban Quest challenges teams to work together to solve clues throughout the city. Physical challenges and mental obstacles will test your endurance and knowledge as you can race against both the clock and other teams. Activity Level: Great for all fitness levels! Group Size: Ideal for medium to large size groups. This is not your typical scavenger hunt! Our Scavenger Hunt has a few twists and turns along the way. You'll need to work as a team to figure out clues, navigate around the city as well as use some creative thinking to find items on your list. This event can be as short or long as you want; it can take you all over the city or your group can stay in a smaller, contained area. There is a ton of flexibility with this event and it will always be a fantastic time for you and your co-workers. Where: Downtown, Toronto Island or close to your office! Mini-Olympics: Let the games begin!!! Teams compete against each other in a series of sporting games, group activities, and other wacky events designed to create a bit of friendly competition amongst your group. Choose from a variety of activities to suit your interests. Activity Level: A great mix of mental and physical challenges! This is best suited for a group looking to be a bit more active. Where: Inside or outside - we can tailor this to your needs! Group Size: Ideal for medium to large group sizes. Activity Level: This is best for a group looking to be a bit more active, though there is a role for everyone in our tournaments! Where: We have many contacts and venues across the city and can tailor this to your needs. Set sail to the Toronto Island and experience your very own treasure hunt! 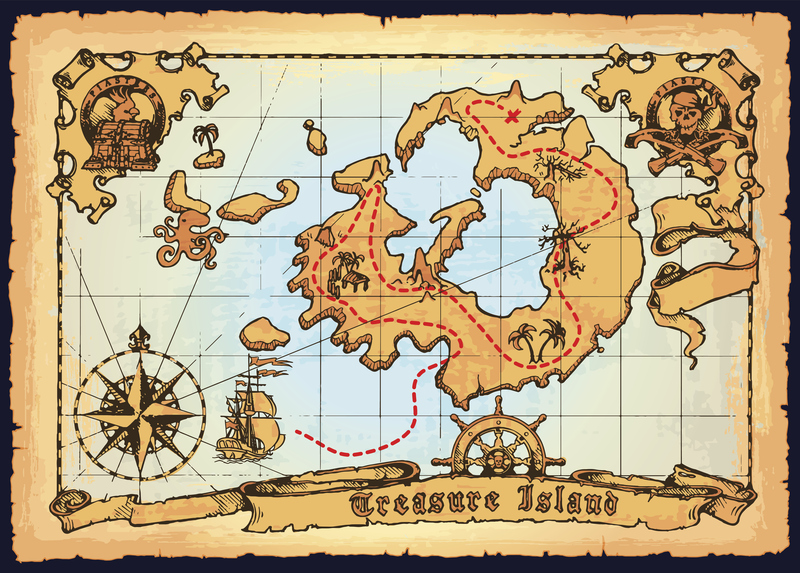 A pirate from long ago was buried with his treasure on the island, and it's up to your team to find it first! 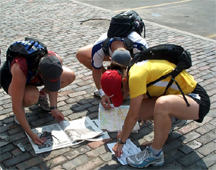 In order to do so, you'll have to find pieces of the treasure map, by solving clues and completing physical and mental challenges. Discover the pirate's booty before your colleagues & win pride & prize (and maybe a doubloon or two!). Group Size: Ideal for small and medium-sized groups. Have your own unique idea for an event? Tell us about it, and we can help you to bring it to life. We will work with you to create a customized event for you and your group. - Which type of event you are interested in. - Potential dates and time of day. - Ideal geographic area of the city for your event.